Here's what I wrote previously about it This was an unannounced OQM event 12/11/2014. Interesting to note that this was in response to at least several complaints. 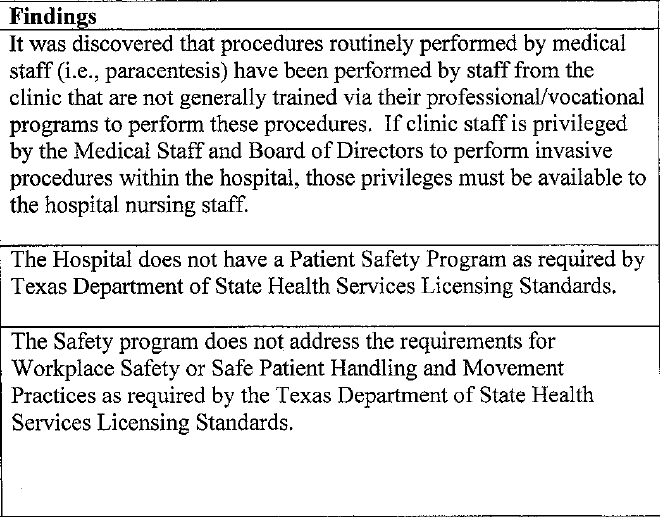 And here's from the board packet for the 1/29/2015 meeting. I asked for this from the board president since it was my understanding that the board packets were supposed to be always posted online for the public to see. 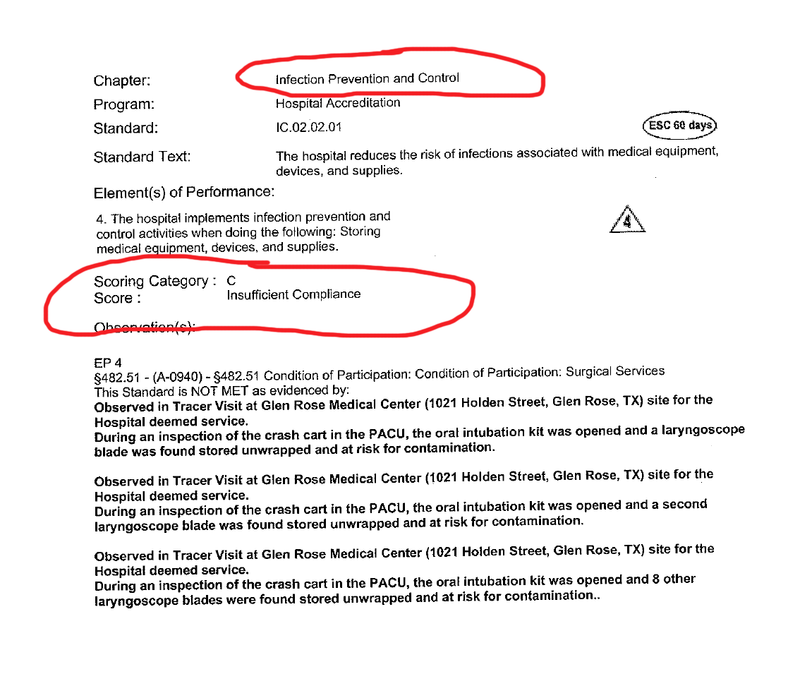 Maybe I'm blind but I couldn't see it on the GRMC website, nor do I see others. 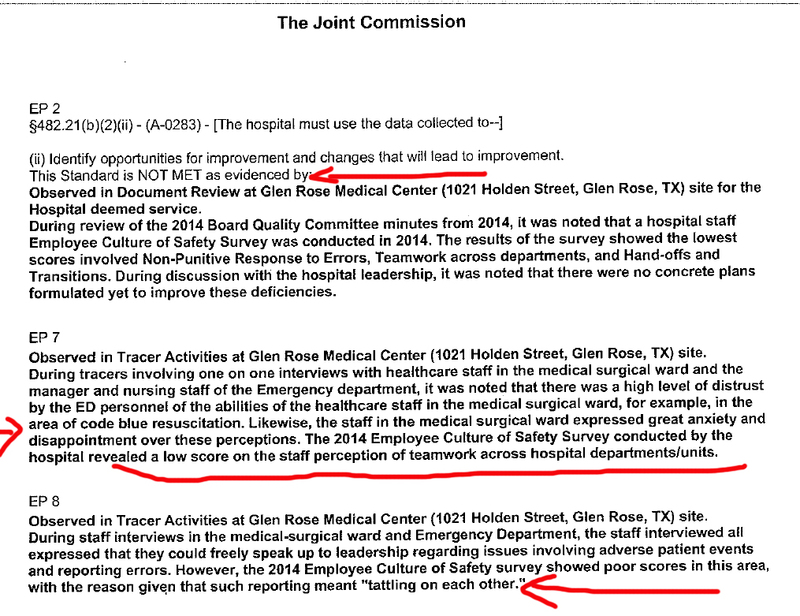 Note that Somervell County Commissioners Court and GRISD put their packet of materials to be discussed on their respective websites before meetings so that the public can be informed.Update: Here is the link to the board packet on the Glen Rose Medical Center website, where all can see. 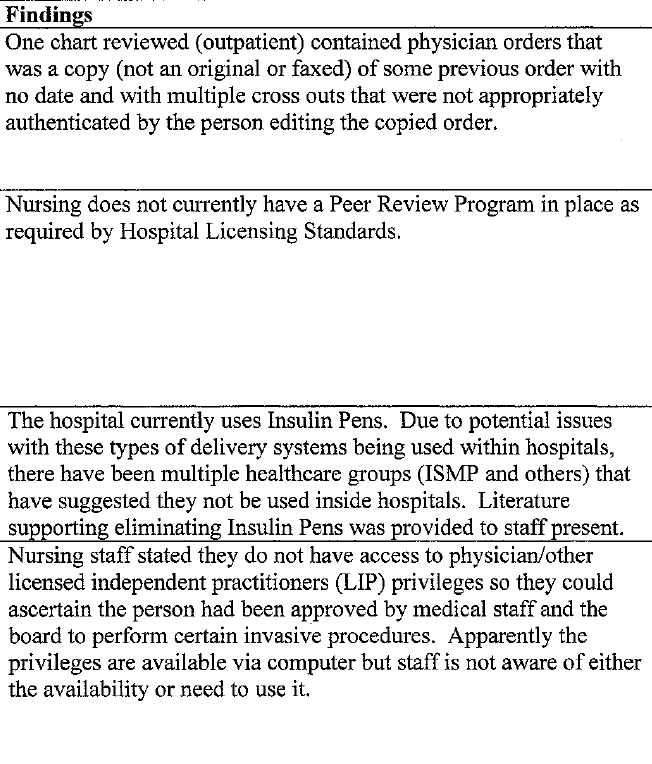 PDF of the part where the Joint Commission report is. 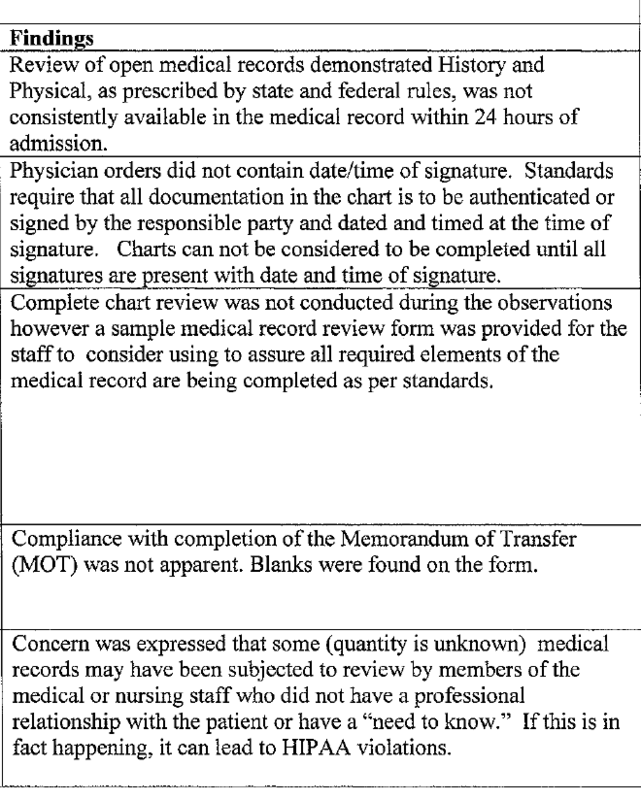 Here are a few things, do read the reports yourself. I clipped some of this with some circles around stuff. My question is why did it take a concerned doctor and some others that apparently complained for this to get brought out? Anyone with me that this is POOR MANAGEMENT? This isn't just something like whether a coke machine works or somebody needs to smooth out some gravel, it's LIVES. This doctor went to the board. Doesn't the public have a right to know that this type of serious thing is going on?